Davies “Wheel Guard” is an innovative new product that is specifically formulated to quickly and economically protect your polished aluminum wheels and gas tanks from the harmful effects of road salt. Spraying your polished aluminum with ”Wheel Guard” after every washing will add significant life to your polish and help your vehicle maintain that ‘like new’ look! 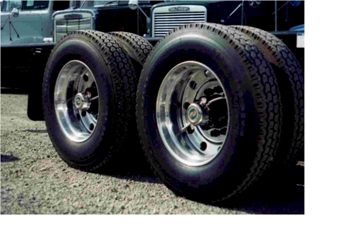 Used to protect aluminum wheels, aluminum fuel tanks, aluminum exhaust pipes, aluminum bumpers etc. For the initial application, thoroughly wash and dry all polished aluminum. Spray liberally over the entire surface area. For best results, apply to clean, dry aluminum after each washing.